Great day! Feeling like an author! Today was a great day in my very limited experience of becoming an author. To start the day off right, in the mail came my very first check as an author from my first story From Abandoned to Attorney published in “Chicken Soup For the Soul, From Lemons to Lemonade!” I can now say I am officially a paid author. 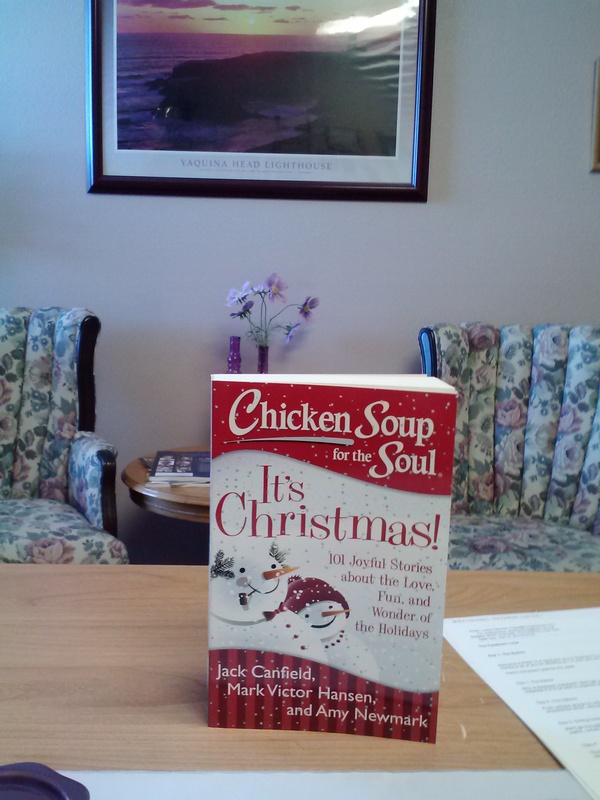 Then a few hours later, I received my advance copies of my second published story, Not Alone, in “Chicken Soup for the Soul, It’s Christmas” It is a wonderful book about the joy and wonder of Christmas and goes on sale everywhere October 8th (by the way , that’s the day before I celebrate my 60th birthday!) Anyway, I am encouraged and humbled by being selected to appear in these wonderful Chicken Soup publications. It gives me the inspiration to keep writing and working on my novel. Maybe someday I will be able to say that I’ve published a novel too! On a different note, enough about me. I can’t post a blog this week without mentioning how my thoughts and prayers go out to all of those people affected by the horrible floods here in my beloved State of Colorado. I didn’t think it would ever stop raining, but this morning we are blessed again with our usual clear blue skies. Although I was not personally hit by the flood, there is just so much devastation and loss here in my home of Larimer County. Many homes and businesses lost. My heart goes out to everyone.